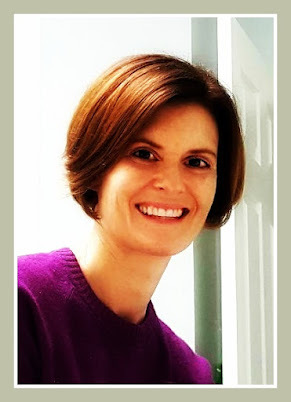 In recent years we've seen so many weather events wreak havoc on the world's cities, watching news coverage of tsunami, earthquake and tornado destruction, devastated areas from flooding, high winds, and general mayhem that results. So we've started another summer, and with it comes another hurricane season. Isn't it cute how they name hurricanes? You know, give real people's names to events that affect so many lives negatively? 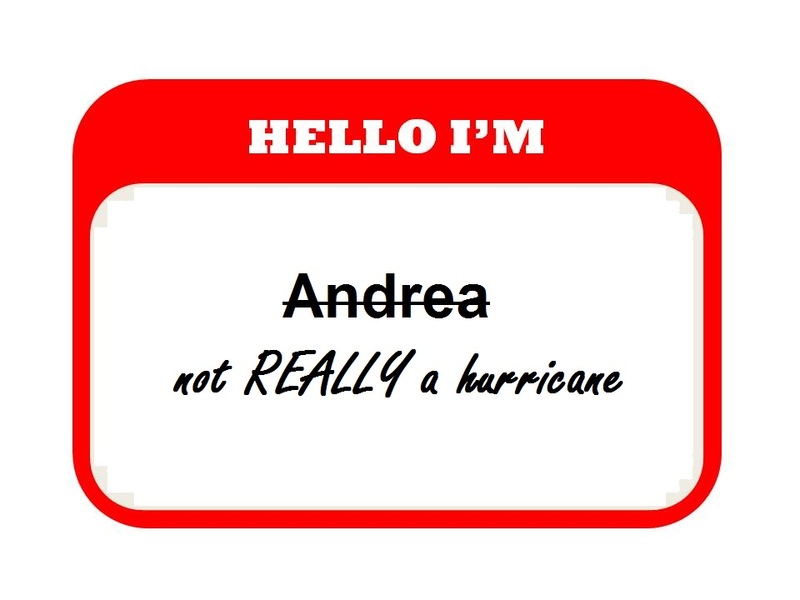 Andrea is the first storm to be named this year. Prayers of safety and no major damage go out from my heart to the affected areas. Respect. Because everyone's a comedian. It does seem early this year, doesn't it? I'm sure if you wouldn't book the trip, this season would go down in the logbooks as the "mildest hurricane season in history." I agree with you - live on the wild side. It's okay about the jokes. It means that I'm on people's minds, and also I enjoy rolling my eyes. How is it hurricane season already? 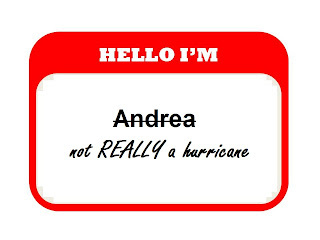 I think it's very cool to have the same name as a hurricane. I want one. Maybe there's someone you could write a letter to? Aaah you make me giggle. I wish we lived close by so we could laugh together.